A little bit of background on how I ended up meeting this talented team. When I first started looking for a factory, I had many many.....many many rejections, as most factories prefer to mass produce one design. To them, our customisation model where each item was made to order, and customisable over 1000 unique ways was a production nightmare. Each meeting ended with "you are crazy", "good idea, but no one will ever agree to manufacture this", "this is too hard" and the phrases go on. One year of searching and I almost gave up, until I went to Central Java, Indonesia and met Pak Catur and his team. We consider ourselves lucky to have found such a talented team who we can truly say are apart of the Reddie family. Without further ado, we would like to introduce you to our main players. The beginning prototype stage with the Vinny credenza unit. Our main man. 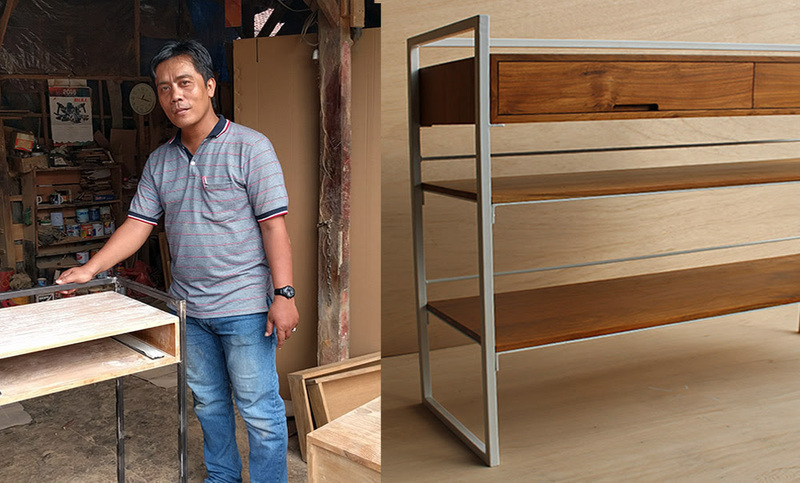 He is an Engineering graduate, with a passion for woodworking and metal work. He is a perfectionist at difficult metal and wood working. A Dad of 2 gorgeous girls, he is Javanese born and bread. 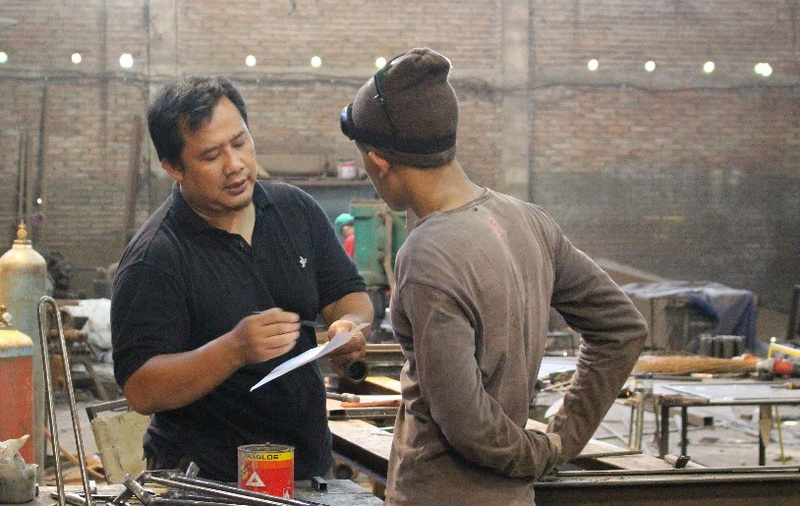 Pak Gatot is our Engineer and quality control manager, he is the one that makes sure our products stand up, are safe, and are made to last a lifetime. He also loves to take a serious photo....we tried to get him to smile, but he said it wouldn't look professional. Love his commitment to the job. 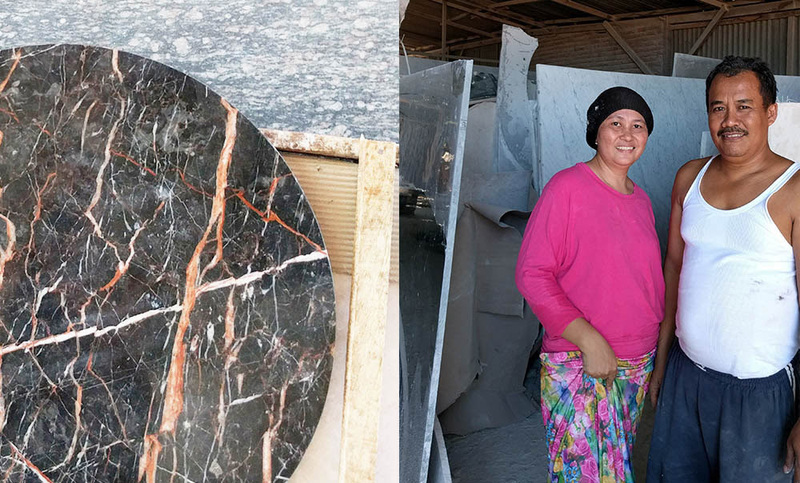 An unstoppable husband and wife team that LOVE marble. They meticulously select the best pieces and cut and polish our marble to perfection. Recently we were looking for a small batch of rare black marble (picture below). They traveled across the country to find it, and bought out the entire store so we could pick the very best pieces! FYI Pak Janji also wanted to apologise for not wearing a shirt in this photo, it was very hot! Don't be fooled by the smile, Pak Nano is difficult. We say that with the utmost affection, as his perfectionism is out of this world. When we approach him with a new design, we find ourselves in a heated debate for over an hour about how the leather is to be integrated. Never settling for ordinary, he wants to make sure that the details used are executed with precision. He brings a level of lost traditional craftsmanship to our leather details. Pak Yono is an artist. 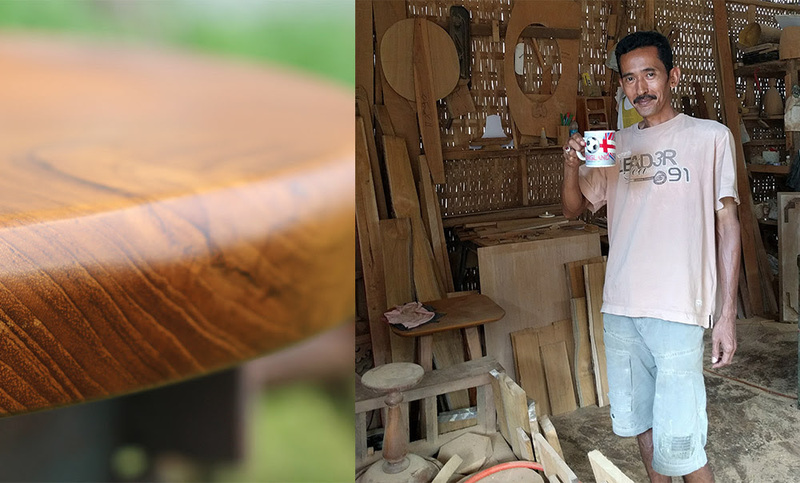 He is a genius at wood working, a craft passed down to him from generations. With music playing in the background of his wood shop he approaches making each piece like an artwork. When coming up with a new design, we collaborate closely with him come up with interesting details and features. Visit us at www.reddie.com.au to see more of their creations. After being asked by several customers if we could design a media cabinet, we decided to give it a shot! We began the design phase over a year ago as it took several iterations to get right. 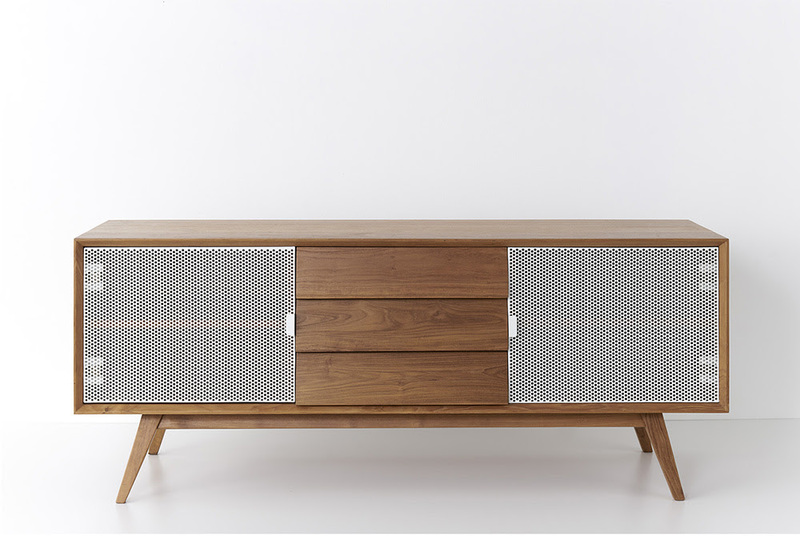 The Vinny is a modern interpretation of the traditional Danish media unit. We opted for angular details instead of rounded, and added an industrial edge with the use of perforated metal doors. 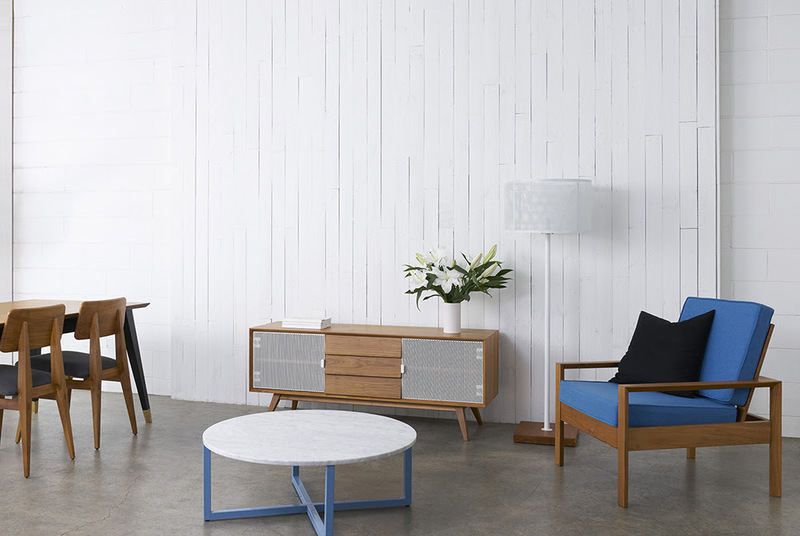 The end result is a beautiful hand-crafted piece that maintains an elegant and retro aesthetic. Traditional wood-working techniques such as dovetail joins and soft close door and drawer mechanism are incorporated to ensure the highest quality. With each piece we carefully select the best pieces of legally harvested plantation teak wood (one of the most durable and premium woods). We make sure we choose the pieces with the most interesting grains. 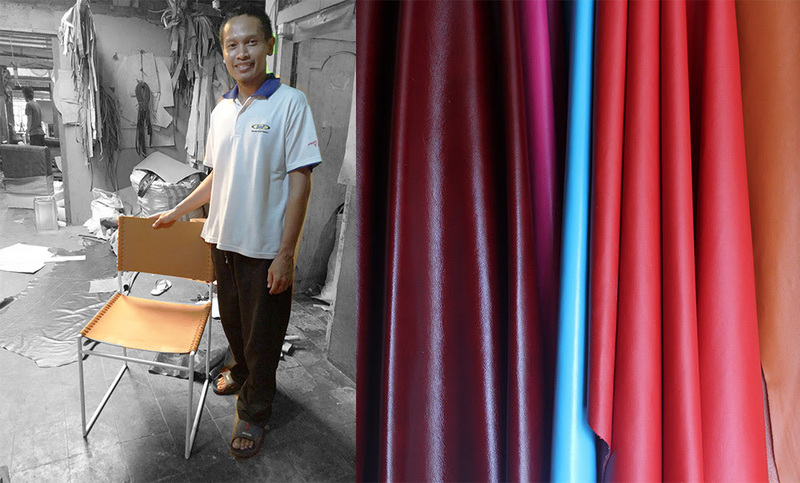 We collaborated closely with our factory manager Pak Catur to develop all of the intricate details. For example we were stuck on what material to use for the doors, as we thought wood would be too heavy. We spotted a piece of perforated metal in the back of the metal studio and made some doors on the spot. We were sold, as even in their raw state they were beautiful. They also conveniently allow you to change the channel when closed, and allow for ventilation! Getting the proportions right is always difficult. We needed to make sure it looks balanced physically, but also it has to be practical and fit all equipment sizes. It took several mock ups to get right. Also integrating metal doors with the wood, proved to be tricky. After much work we are proud to have the product now available on our site. 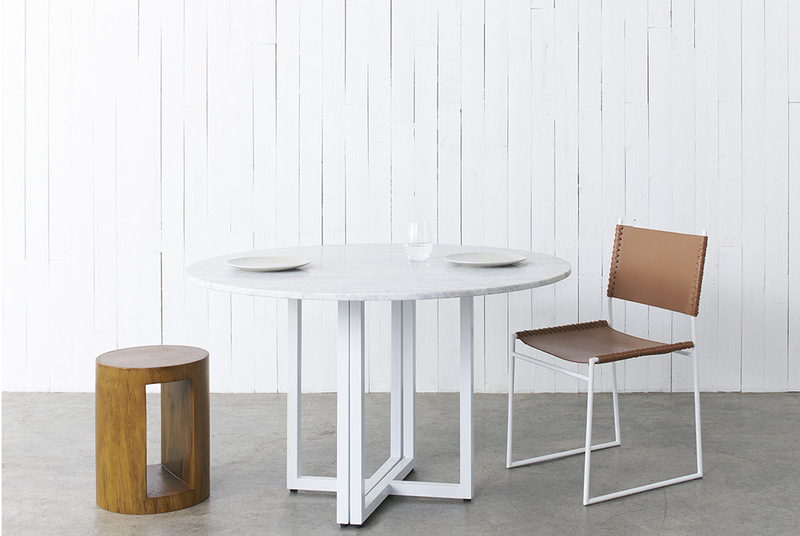 Each unit is customisable online, and available in our 4 signature styles, VINNY, BOB, SUZY and WILLY. 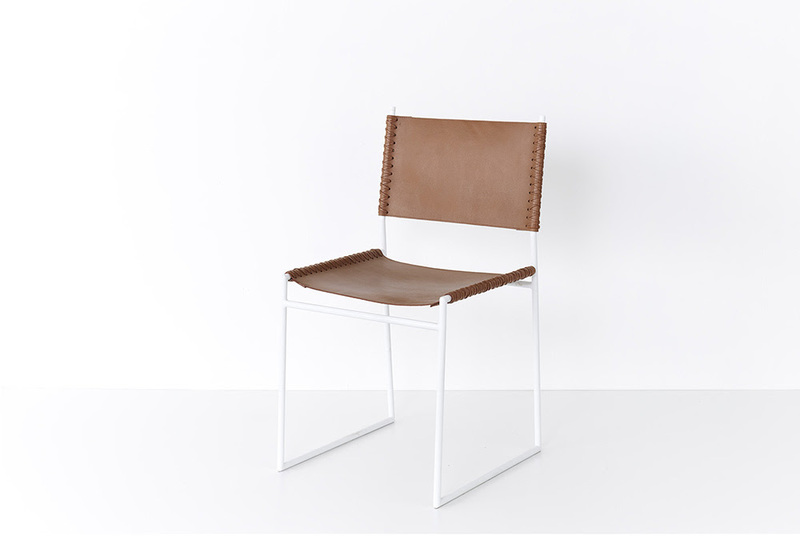 Available in white-wash teak, natural teak, and 5 metal colours. We can also customise size by request. 2016 was a great first year with Reddie. With both a pop-up in Hong Kong and Sydney it was the most eventful year I have experienced to date. 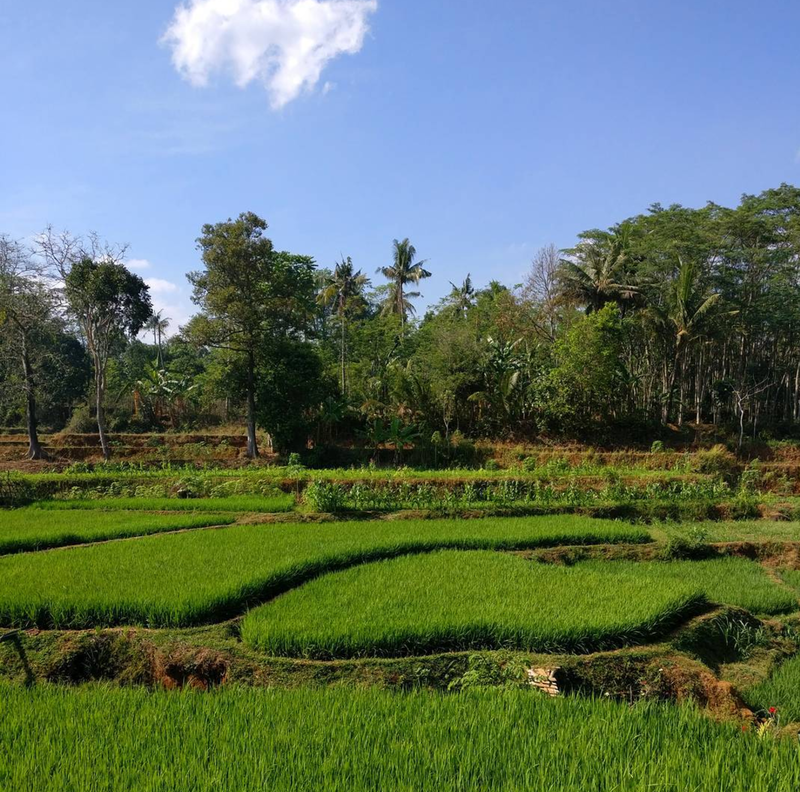 From working in the factory in rural Indonesia, to jumping on a delivery truck and meeting customers, I never quite imagined how hard and at the same time rewarding building a business can be. There have been tears and triumphs, but I wouldn't have it any other way. My husband Andrew made the leap and joined our team, leaving his 10 year career at Google. This decision is a double edged sword, as it's necessary for REDDIE to continue to grow, but having both of us in the biz certainly adds an extra pressure that was not there before! Also working with your life partner does takes a bit of getting used to! So going against advice from our loved ones, we have plunged head first into the exciting world of furniture manufacturing and design. We have so many crazy stories from this big adventure, which we will be sharing each month on this blog, so stay tuned.